Months after Cook County prosecutors charged Chicago police Cmdr. Glenn Evans with putting the barrel of his gun into a suspect’s mouth, the city agency that investigates police-brutality complaints recommended a 15-day suspension for the embattled cop in a separate incident. The trial in Evans’ criminal case is scheduled to begin next Tuesday. WBEZ confirmed details of the disciplinary case this week. The Independent Police Review Authority first recommended the suspension last winter. IPRA “sustained” allegations that Evans threatened Rita King, 42, pressed his hand against her nose and face, and failed to provide her medical treatment. The incident took place on April 10, 2011, at the Gresham police station. Officers had arrested King after a domestic disturbance and were trying to fingerprint her. She was not cooperating. Evans, on duty as a lieutenant, “proceeded to violently press his fist into [her] nose for approximately 3 to 5 minutes,” according to a federal lawsuit King brought against the city and the officers. “He kept saying, ‘I’m going to push your nose through your brain,’” King told WBEZ last year during an interview about the incident. Evans claimed he first tried talking to King. “Only after [she] refused to comply with these verbal commands did Defendant Evans use a reasonable degree of force in order to control [her],” city attorneys wrote in a court filing. 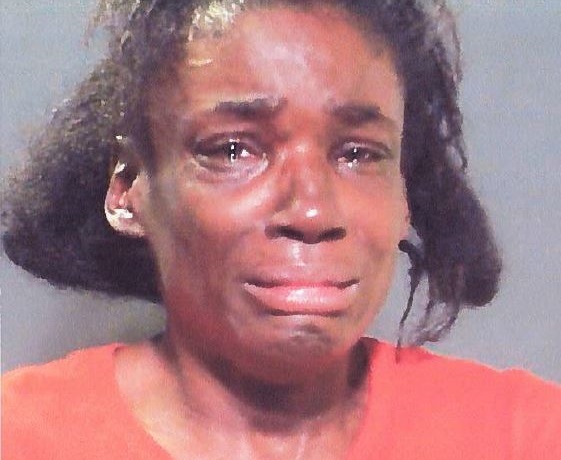 Officers charged King with assault and disorderly conduct, both misdemeanors, and released her. Two days after the incident, a Roseland Community Hospital physician examined King and found multiple facial bone fractures, according to a hospital record. King, meanwhile, filed a complaint with IPRA. The agency looked into the case for two months then did little or no work on it for almost two years, according to an internal log of the investigation. Once IPRA resumed its probe, it didn’t post its findings for nearly another two years. IPRA published a summary and the suspension recommendation in a monthly report last February but did not identify the officers. By then, a Cook County grand jury had indicted Evans in the gun case and the police department had moved him to desk duty. But the department did not carry out the suspension. Instead, last spring, it sent the case back to IPRA for more investigation. IPRA completed that work this fall and returned its 15-day suspension recommendation to the police department, according to sources close to the probe. The police department did not answer questions about the recommendation or Evans’ status. IPRA spokesman Larry Merritt called the case “pending” but did not answer questions about it. Suspensions of fewer than 31 days for an officer of Evans’ rank cannot be appealed to the city’s Police Board, according to Max Caproni, the board’s chief administrative officer. In King’s lawsuit — a hard-fought battle spanning almost three years — Evans sat for a deposition last March but refused to answer dozens of questions and pointed to his constitutional right against self-incrimination, according to court records. U.S. Judge Jeffrey T. Gilbert mediated settlement talks on Monday and scheduled a hearing for next Wednesday. Evans’ attorney in the lawsuit, Eric S. Palles, did not return WBEZ messages seeking comment about King’s allegations. Laura Morask, Evans’ lawyer in the criminal case, denied the allegations and declined to comment further. To settle a different lawsuit, the city last month agreed to pay $100,000 to a photojournalist who claims Evans and other officers beat him with batons and kicked him as he covered a downtown protest during the 2012 NATO summit. That was the seventh time the city paid at least five figures to settle a lawsuit against Evans for alleged excessive force, according to a WBEZ review of court filings and city Law Department records. The payouts total $324,999, not counting legal expenses. In all the settlements, the defendants denied wrongdoing and liability. In the criminal case, Evans faces two counts of aggravated battery and seven counts of official misconduct, all felonies. The incident, revealed by WBEZ, took place January 30, 2013. Prosecutors said Evans put his .45-caliber Smith & Wesson semi-automatic pistol “deep down” the throat of a South Side man, Rickey J. Williams, while pressing a taser to his groin and threatening to kill him. Morask, Evans’ attorney, has denied those allegations and accused IPRA of leaking the results of an Illinois State Police test to WBEZ. The test found that material swabbed from the commander’s gun included DNA that matched a sample from Williams. The commander’s supporters, meanwhile, say Williams’ DNA could have ended up on the gun without unlawful conduct by Evans. The trial will take place amid heightened public scrutiny of Chicago police conduct. Last week, the city released a police dashcam video showing an officer firing 16 rounds into Laquan McDonald, 17. A public outcry led Mayor Rahm Emanuel this week to dismiss police Supt. Garry McCarthy. In the Williams case, Emanuel backed McCarthy’s decision to leave Evans in charge of a West Side district despite an April 2014 recommendation by IPRA to strip the commander of police powers. Questioned about that decision, McCarthy credited Evans for a drop in shootings in a South Side district he had commanded. Evans remained in the West Side post until prosecutors brought the charges on August 28, 2014. Evans’ conduct is the subject of yet another legal battle — a federal lawsuit brought by Williams against the commander and the city. A judge has put that case’s evidence discovery on hold pending the criminal trial. Evans, meanwhile, has been suspended from duty at least 11 times. The two longest suspensions, both 15 days, stemmed from excessive-force accusations. Morask called the history of lawsuits and complaints against Evans irrelevant to the criminal charges. Judge Diane Cannon ruled that prosecutors could not bring “other crimes and bad acts” into the trial, expected to last at least two days. * In the interest of full disclosure, attorneys for Commander Evans have sought to have WBEZ’s Chip Mitchell testify in Evans’ criminal trial. We do not believe that that has any bearing on the reporting of this story.